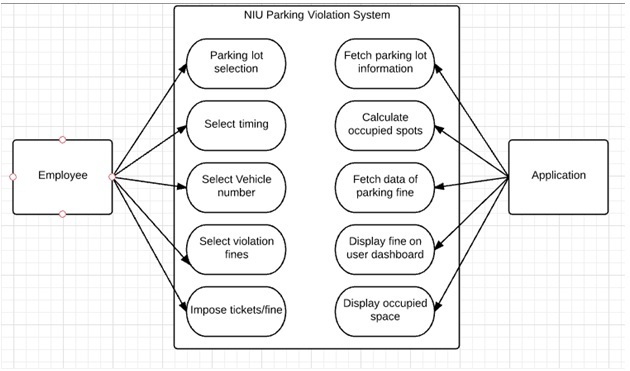 The NIU Parking Management System helps simplify parking in NIU parking lots. It lets the visitor know how many parking spots are available in a given parking lot at present. 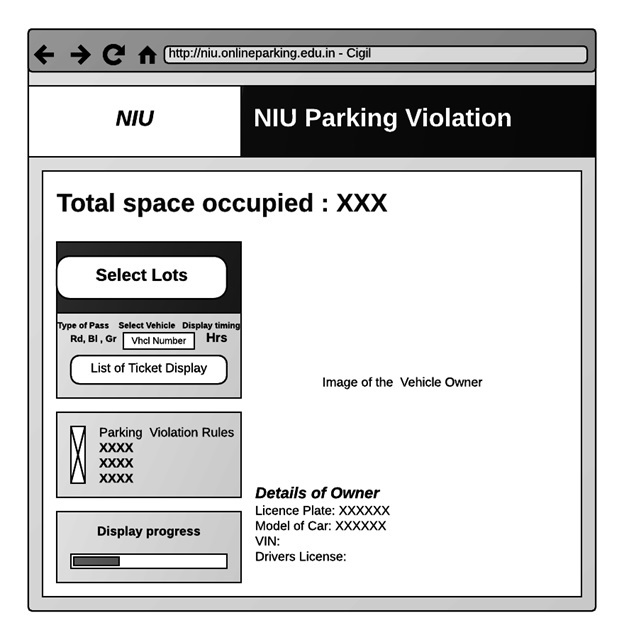 The users can view the available parking spots in each lot on the NIU parking website. Each spot has a sensor embedded in the ground which updates the website if that particular spot is vacant or occupied. The visitor can also reserve a parking spot in advance if he/she has a special pass. The parking management system also enables students/faculty to buy parking permits online. 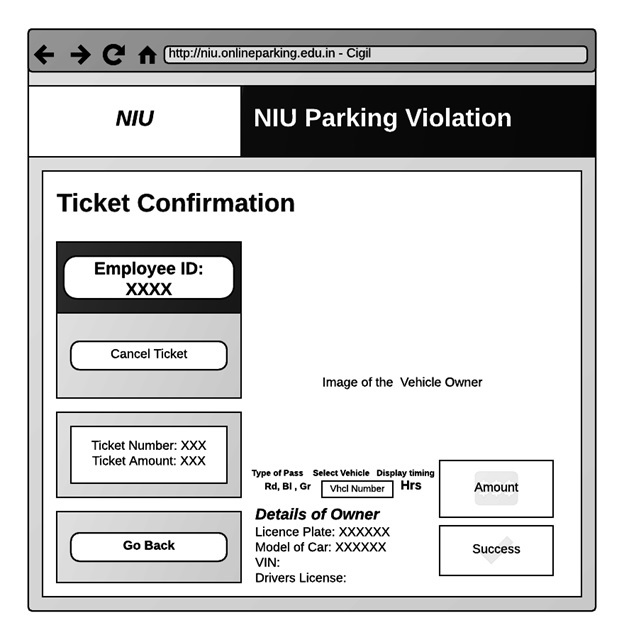 In addition to this, NIU parking officials can use the app to assign parking tickets. Story – The user wants to know if a particular parking lot has parking spots available for the specific pass he/she possesses. The user opens the application and selects the parking lot he/she is interested in viewing. He/she then selects the option to view the number of vacant parking spots. The user then selects the type of parking pass he/she has ex: yellow, blue, orange etc. The application now fetches the information from the sensors which are installed in each parking spot. The sensors let the application know if a particular spot is empty or occupied. The application now calculates the total vacant spots for that particular type of parking pass and displays the number for the user to view. This way the user knows if/she should proceed towards that parking lot or not depending on the availability of spots.